You've come to the right place. Take a read of this quick getting started guide that will help you learn the basics so you can get up and going. We’re glad you asked! 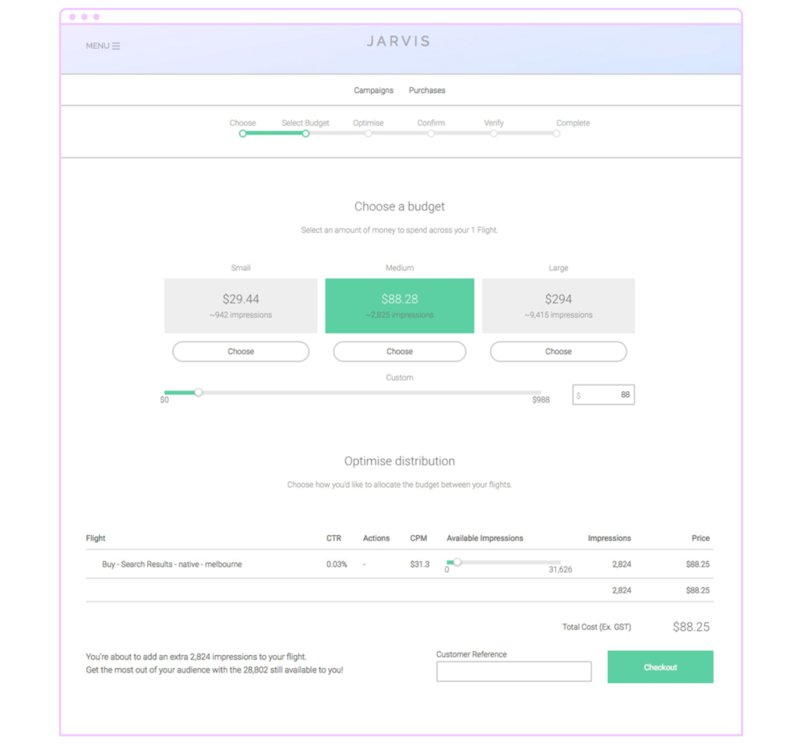 JARVIS is a live reporting and self-buy platform which consolidates the full scope of your campaign on your publisher page. You will be recommended where to boost your campaigns to reach more of your audience for a higher chance of conversion. You will find all of your campaigns and creative performance results all in the one place as soon as you log in. In this article, you’ll learn how to start using JARVIS to optimise all of your campaigns running on your publisher page, and we’ll provide some helpful resources to use as you move your way along the platform. 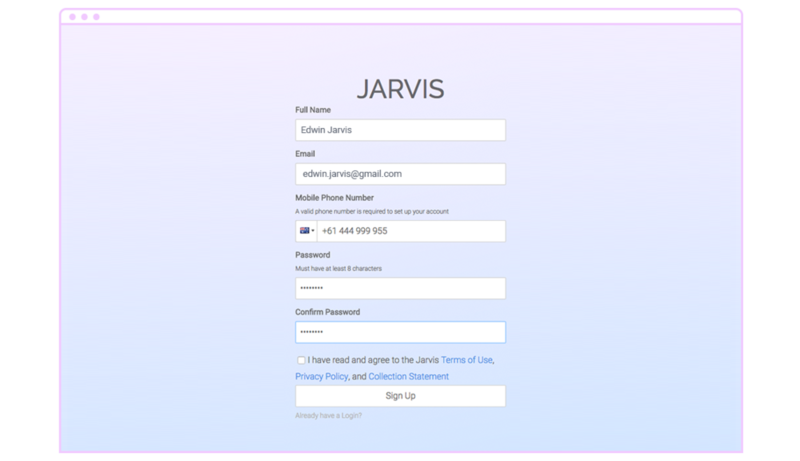 JARVIS will send you the initial sign-up email which will navigate you to the sign-up screen. Fill out the required fields including your mobile phone number. You will receive an SMS providing you with a 6-digit code to confirm and activate your account. To understand how JARVIS really works, it helps to know how all the information fits together. Once you’ve logged in you will see a snapshot of what a typical 'My Campaigns' dashboard looks like. Explore your advertising performance further, by clicking on each individual flight. Breaking it down even more to creative level, you can get a side-by-side comparison of which creative artwork is driving the most value. Campaigns that have a green 'Boost' or 'Add to cart' button means that you have the opportunity to reach more customers. You won't need to do any of the hard work, as JARVIS will show you where to allocate your boost. Simply click the boost button next to the campaign you want to top up. Set a budget (select however much you want to spend) and your campaign will extend its reach with no contracts or messy paperwork. Learn how to boost your campaign in 4 simple steps. Our team is always on hand to support you throughout your journey with JARVIS. You can reach us at any time via the chat box located on the bottom right corner of the application. If you have any questions or simply want to get to know us, just drop us a line, we'd love to hear from you! We also have an education centre, so please feel free to read through the articles to help you get the most out of JARVIS. 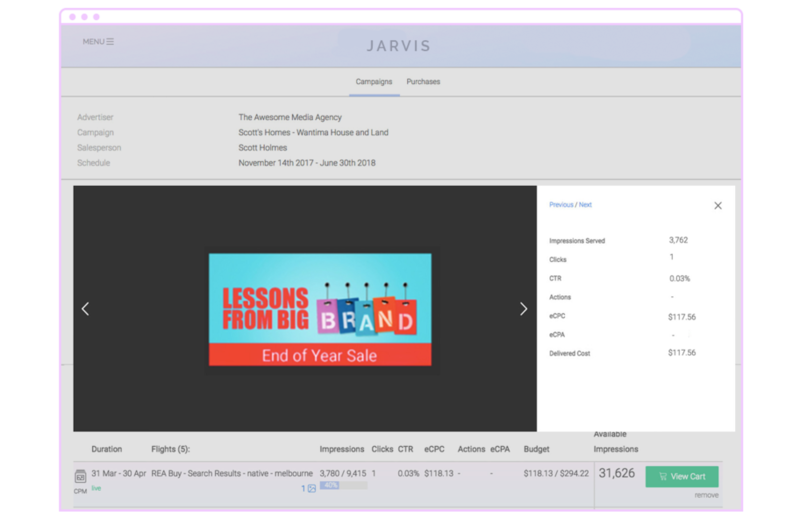 Now that you're familiar with how to use our basic tools in JARVIS, you're ready to explore your campaigns.